The picture is breathtaking. Where is the secondary school - has it been demolished? I think it was named Stanley Deason (Deason High School). I can’t seem to locate it and I went there as a child. Please help! Hi Helen. Stanley Deason School is way off the photo, it would be behind the photographer, some 400 yards. 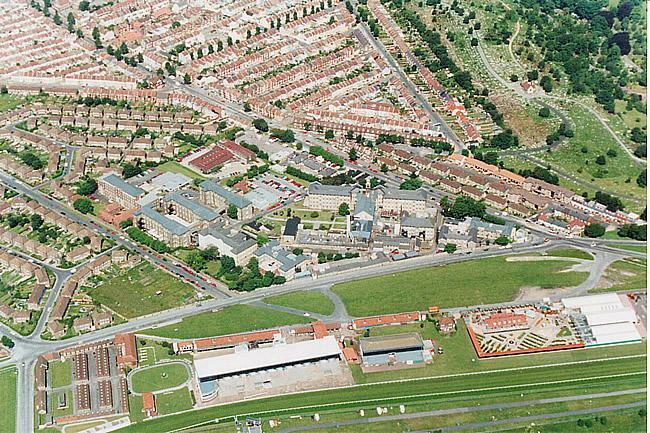 The road shown between the racecourse and the hospital is Freshfield Road. Stanley Deason school was in Wilson Avenue.